Get ready to score big-time with the AirZone Play 47" Foosball Table! Easy to assemble, and layered with exciting graphics, the 47" Foosball Table will keep your young gamers busy for hours. 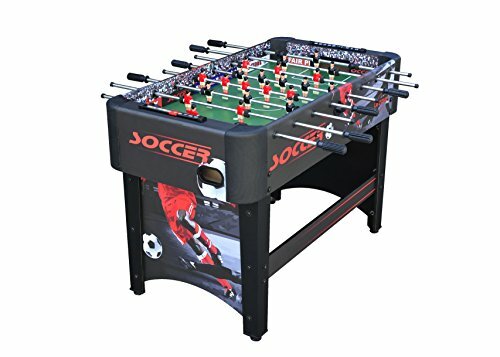 The AirZone 47" Foosball Table comes with three foosball (soccer) balls, eleven ABS molded realistic looking players per team spread out on eight fully rotating bars with ergonomic handles, and on-goal score-keeping. This sturdy MDF constructed table will stand up to your young gamer's best foosball moves! It's time to Play like you mean it! If you have any questions about this product by AirZone Play, contact us by completing and submitting the form below. If you are looking for a specif part number, please include it with your message.